CREWES is an applied geophysical research group concentrating on the acquisition, analysis and interpretation of multicomponent seismic data. Working with industry partners (List of Sponsors), we conduct advanced research in resource exploration and development. 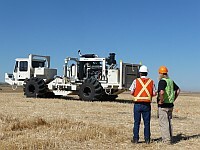 Our goal is to obtain improved 3-D geological images of the subsurface. 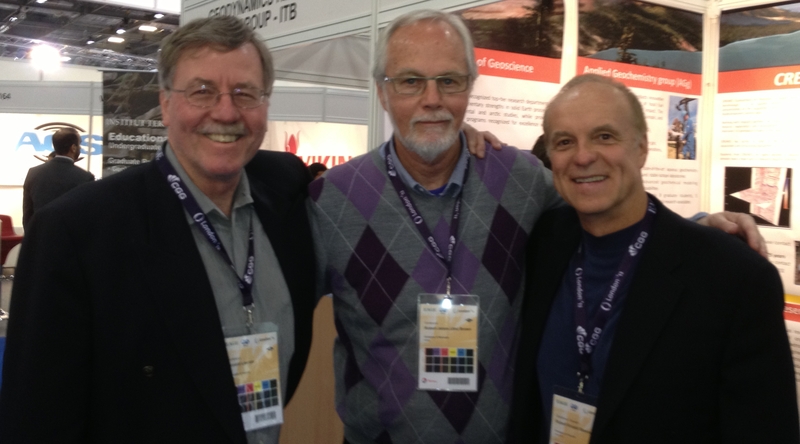 CREWES traces its origin to the year 1988 when Professors Rob Stewart, Don Lawton, and Jim Brown decided that the University-Industry consortium model could work in Canada to fund research and training in exploration seismology. We now have 31 years of history to document the clarity of their vision. Over this period, CREWES has seen over a hundred students complete Masters degrees and over thirty five complete PhD`s. There have been over a thousand CREWES research reports which resulted in hundreds of expanded (4-page) abstracts at the major geophysical conventions. We have had about a hundred different Sponsor Companies at various times with the average year seeing us with a sponsorship somewhere between 20 and 30. For information on CREWES staff and students please see the Contact Us list.